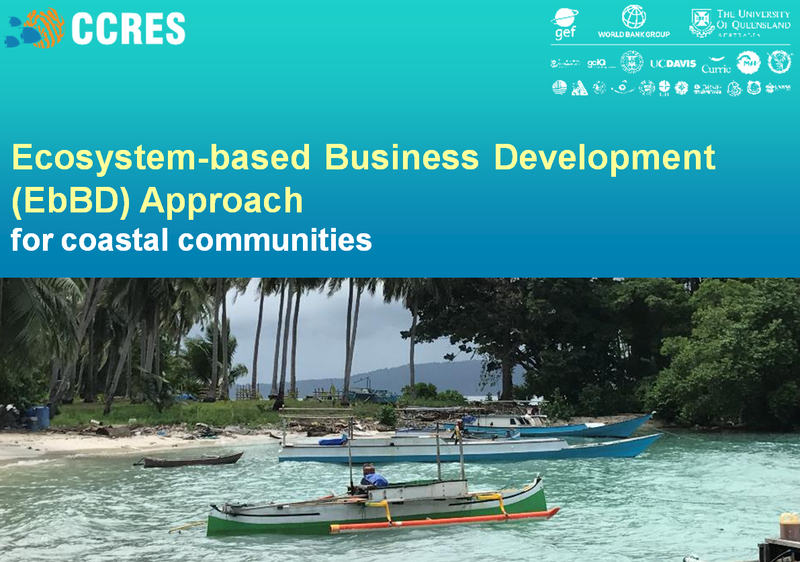 The Ecosystem-based Business Development (EbBD) Approach for coastal communities is a process that uses ecosystem services and biodiversity as part of an overall sustainable development strategy, to help support sustainable livelihoods and local economic development in low resource coastal communities. The CCRES EbBD kit contains a comprehensive slide pack and supporting materials to direct users through the process for a nominated site or location. It uses ecosystem services and biodiversity as part of an overall sustainable development strategy to help support sustainable livelihoods and local economic development in low resource coastal communities. It steps participants through a thinking process designed to help identify enterprise-led solutions that share value along the supply chain and do not cause damage to the environment.